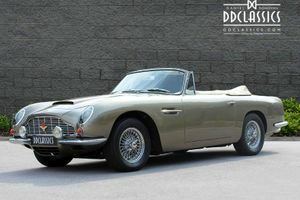 Beautifully Presented Matching-Numbers Factory Left Hand Drive DB6 Volante. Well-Sorted Example with Known History From New. Aston Martin is a name long associated with racing, performance, and the personal fortitude of charismatic leadership, with a dash of James Bond on the side. That name, together with that of David Brown, continues to define the storied marque. 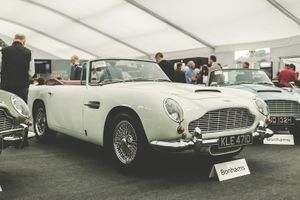 It was Brown’s leadership starting with his 1947 acquisition of the company, and through the 1950s and 60s, that cemented the company as a world-class manufacturer of quintessentially British sports cars. 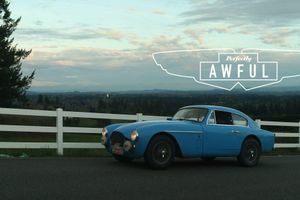 Together with Aston, Brown bought Lagonda, which he did specifically to acquire their sophisticated 2.6 liter twin-cam inline-6, which had been designed by none other than W. O. Bentley. 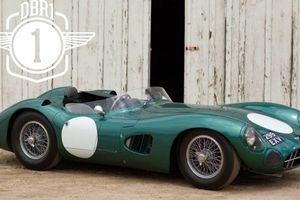 This created a winning pair: the DB2 sports car and its racing variants which ultimately won at Le Mans in 1959 (driven by an American named Carroll Shelby) demonstrated that David Brown was to be taken very seriously. 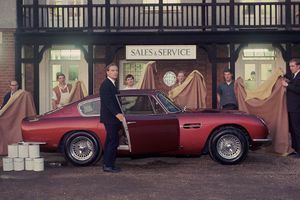 The DB4/5/6 line is the defining series for most car enthusiasts. 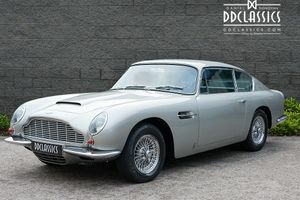 The DB4 was an all-new design which appeared in 1958 wearing a lovely elegant Superleggera body designed in Italy by Touring, and was powered by Tadek Merak’s equally lovely 3.7 liter twin carbureted dual overhead cam inline-6. 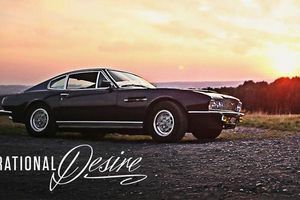 Continuously developed to deliver more performance and comfort, the line culminated with the 4.0 liter triple carbureted DB6, which was introduced in October of 1965 at the London Motor Show. 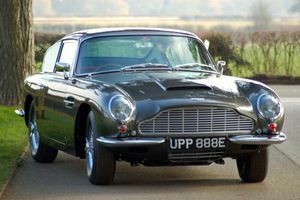 Available in both open and closed forms, the DB6 was produced until 1970 and was differentiated by its lengthened wheelbase and Kamm style rear treatment with rear spoiler and flat rear end to reduce high speed lift. For the first time, the open variant of the car received a dedicated and now familiar moniker: Volante (meaning “flying” in Italian). 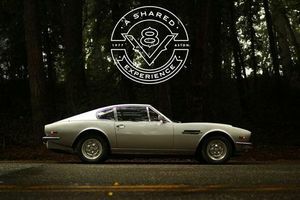 Of the 1325 DB6s built, just 140 were Volantes, of which approximately 30 examples were left hand drive. 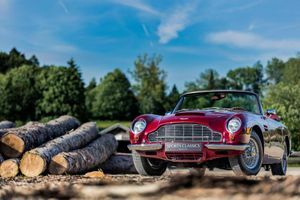 This factory left hand drive DB6 Volante is an exceptionally rare car, exhibiting commanding presence, exceptional provenance, and rare factory specifications seldom seen even by the most experienced marque specialists and collectors. 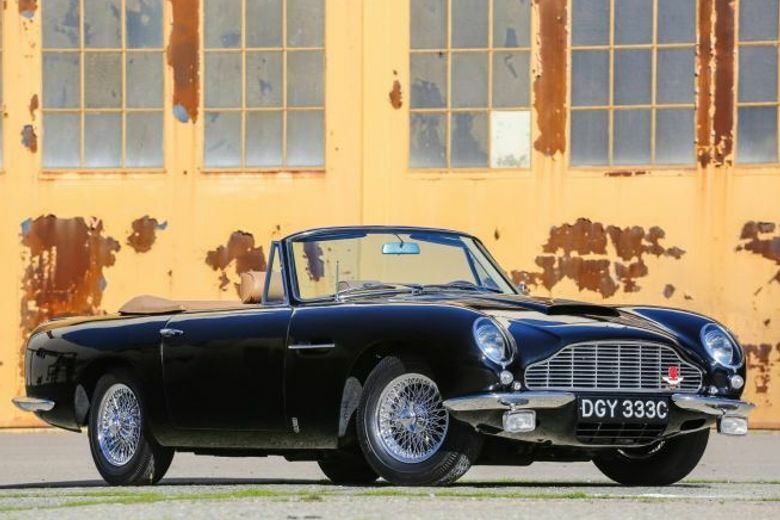 According to Aston Martin records, this left hand drive example was finished at the works factory in black with matching Connolly leather, black carpeting, black top, and triple eared knock-off wire wheels with whitewall tires. Factory options included Coolair air-conditioning, automatic transmission, power steering, Britax seatbelts, Fiamm horns, and a Blaupunkt Koln radio with power antenna. The car was delivered to Keenan Motors Inc. in Philadelphia, PA on August 30, 1967. The first owner, John T. Dorrance, was the son of the inventor of canned condensed soup, and the president of Campbell Soup Company. Dorrance would retain the car for approximately a decade before selling it to Mel Ritter of Scottsdale, AZ. Ritter, a well-known English car enthusiast would enjoy ownership until 2003, using it sparingly under the Arizona registered vanity plate “ASTON.” After a brief stint in a Connecticut collector’s stable with other prized Astons, the car was sold to a new owner who commissioned Autosport Designs in New York to tend to the mechanical systems and install a correct specification ZF 5-speed manual transmission. Currently showing approximately 37,500 miles and having been in the hands of careful stewards since new, the figure is believed to be representative of original miles. 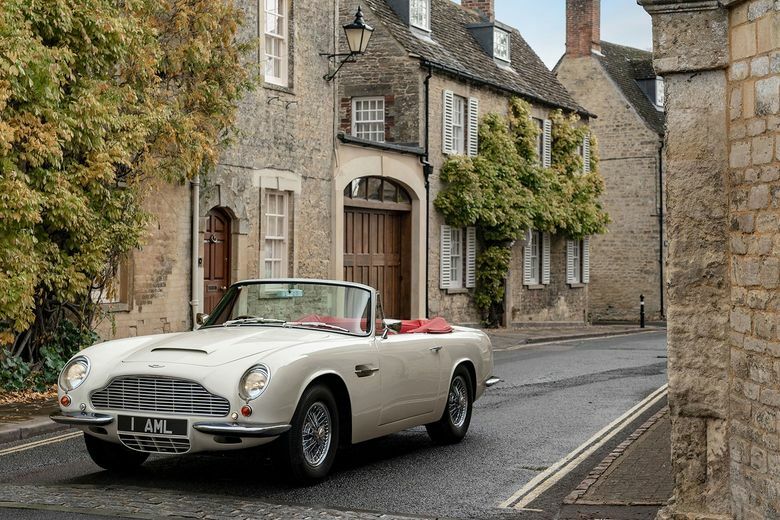 Today, this exceptional Aston Martin elegantly displays all the traits of an enthusiastically owned open sports car. The paint is in beautiful condition showing excellent gloss throughout with excellent panel gaps and proper fitting, a worthy achievement considering the exquisite handmade aluminum coachwork. There are a few minor surface blemishes including one bubble on the right rocker panel ahead of the rear wheelarch, but the overall presentation of the paint is excellent. The exterior trim has been properly finished with particular attention to the fine metal work in the distinctive grille. The left front bumper will need some alignment correction, however, the fit of the headlight covers to the fenders is very well done, continuing the sweeping front fender lines in a dramatic diving progression, uninterrupted by chrome trim or fussy details. The exterior body finish is very well done with excellent body contours and properly controlled reflection lines along the belt line and characteristic Touring wheel arches. The broad and subtle surfaces of this car are very sophisticated, and cleanly accented by the chrome wire wheels, which enhance the low sporting profile. The glass is in excellent condition, along with various exterior trim, lighting, exterior lenses, and indicators. The clean trunk lines are finished off with an aerodynamically advanced Kamm back tail, highlighted by Volante lettering and angled twin chrome-tipped tail pipes. Attention to detail, quality materials, and thoughtful stewardship continue throughout the interior of the car. The tan leather seats and door panels contrast elegantly with the chocolate brown carpeting against the stunning dark grey metallic dashboard. 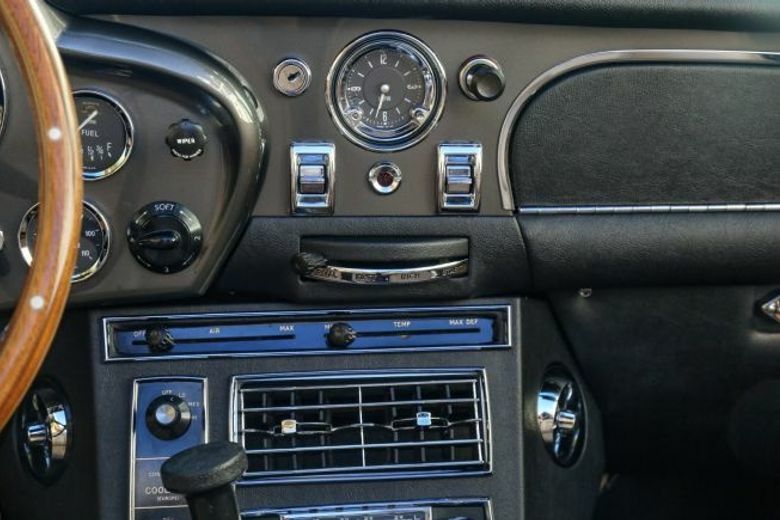 A wonderful array of artfully rendered and very complete instrumentation fills the main binnacle, beautifully framed by a large diameter wood steering wheel, flanked by a centrally mounted clock, Blaupunkt radio, and air-conditioning controls. An array of switches and vents accent the descending center console, finishing off the clean lines with a tan leather booted 5-speed shifter. The interior leather surfaces are in excellent condition with correct stitching and matching perimeter piping. Elegant touches of chrome trim lightly decorate the cabin. The finishes throughout are in excellent condition. The trunk compartment is finished with correct materials per original specifications. The engine compartment has been correctly restored and its nicely mellowing. All finishes, fasteners, and proper components are thoughtfully prepared as originally intended. The components are clean and free of excessive wear or use, indicative of mild use since the restorative work was performed. The engine bay and all hardware have been expertly refinished or reconditioned to a very high standard. The overall finish of the engine compartment has been prepared with originality and pride. The undercarriage is essentially unrestored, with excellent structural integrity and evidence of mechanical maintenance and freshening but retaining a substantially unrestored condition. As one might expect from a car of this significance, the mechanicals are sorted with great care. The car starts and drives effortlessly with properly functioning choke mechanism. The engine has good oil pressure and throttle response, and carburates well, with clean linear power and torque throughout the rev range. The ZF gearbox is excellent, with well defined gates, positive engagement, and good synchromesh. 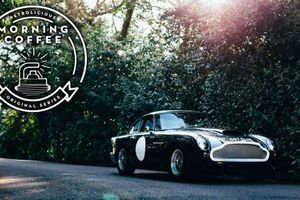 Acceleration is quite good, reminding drivers that Aston Martin built both beautiful and capable road cars, responding equally to sporting leisure and competition goals. Steering and braking are quite well balanced, working in harmony with the chassis. The brakes are firm and competent in feel, while the steering has manageable weight and good precision thanks to the power steering system. The car drives with a nice balance of performance and grace, easily maneuvering through quaint hills and canyons or open highways with equal aplomb. Accompanying the car is an owner’s handbook and a copy of the factory build sheet. The DB6 remains a timeless blue-chip classic thanks to its blend of all the ingredients that make a classic car quintessentially appealing. 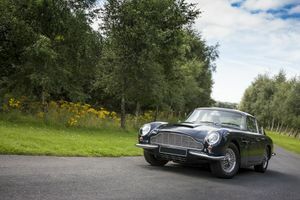 Mechanically innovative, rare, attractive, high performance, and with a touch of star quality lent by James Bond's famous DB5, the DB6 is an ideal all round classic. 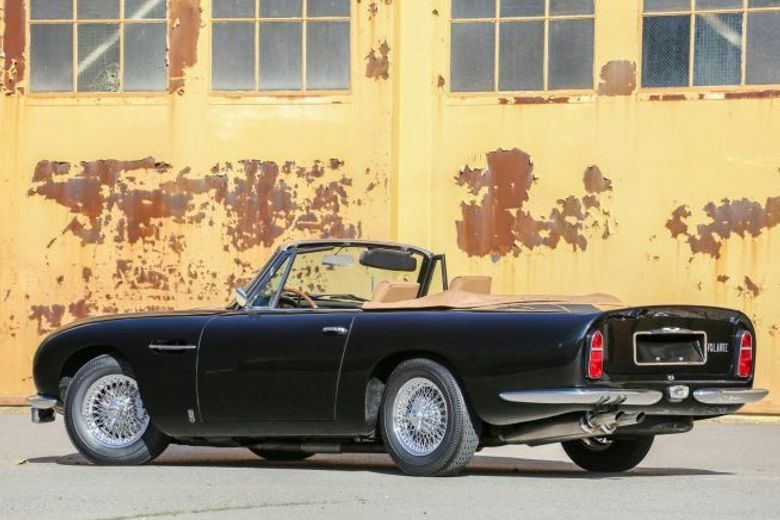 Exceptionally rare in factory left hand drive Volante form, this is a great driving example with superb history, presentation, and integrity. 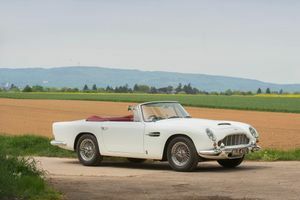 Beautifully finished in desirable colors and handsomely appointed with stunning leather interior, this Aston Martin DB6 Volante is eligible for AMOC Events and many of the top international Concours d’Elegance shows. The car is ready to delight even the most particular collector or engaged enthusiast, becoming a welcome addition to any collection of highly prized performance sports cars.